If you’re on the market for a new mid-size SUV, then the brand new 2019 Lincoln Nautilus should definitely catch your eye. It’s packed full of features that make it feel like a true luxury vehicle and feels extremely powerful on the road. But what truly sets this crossover SUV from Lincoln apart from its competitors in this tough class? 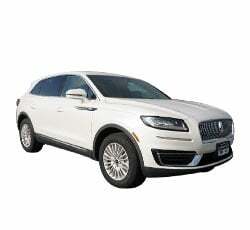 This is the first year that the Lincoln Nautilus is in production, though it was previously named the Lincoln MKX. There are many new features here, including a new, fuel-efficient turbocharged engine, new safety technology, and a completely restructured exterior that looks sleek and stylish. One of the trickiest aspects of a midsize SUV to get right is the interior space and comfort. This is because midsize SUVs need to pristinely balance utility and luxury, making sure there’s enough space to fit cargo while still maintaining plush seating and plenty of legroom. The 2019 Lincoln Nautilus toes this line perfectly, offering plenty of room for passengers of all sizes in both the front and back seats. The front seats can even be upgraded to include 22-way power adjustability, ensuring that they fit your driving style completely. The seats are also comfortable for drives of all lengths, whether you’re just going down the road to the store or heading on a multi-hour drive. Midsize SUVs aren’t meant to tow large loads, so the 2019 Lincoln Nautilus’s maximum tow rating of 3,500 pounds is quite surprising. While this is not enough to tow a large boat or a decently-sized trailer, it’s still a high enough capacity to tow some important equipment if necessary. If you’re looking for a midsize SUV with a powerful engine, then you’ll find what you’re looking for in the Nautilus. The base engine in each trim level is a 4-cylinder, 2-liter turbocharged engine that offers an impressive 250 horsepower and 280 lb-ft of torque. If you want an even more powerful engine, then you can upgrade that engine to a 2.7-liter V6 that gives an even better 335 horsepower. Driver safety has been somewhat difficult in SUVs, as large columns can create fairly large blind spots and unwieldy viewpoints. The advent of safety technology has helped make these SUVs much safer, and the 2019 Lincoln Nautilus has plenty of these features available. The base Nautilus comes with an array of safety features, including blind-spot monitoring and lane-keep assistance. There’s even a front collision warning system, which deploys automatic braking if it’s determined to be necessary. Adaptive cruise control is also an included feature. Upgradeable options in more expensive trims include an adaptive steering system and more fine-tunable cruise control. Some SUVs struggle to pipe sound throughout the car’s interior properly due to poor speaker placement. No trim level of the 2019 Lincoln Nautilus struggles with this, as even the base model has a powerful 10-speaker audio system. Upgraded models and trims included sound systems with more speakers, ranging from a 13-speaker system in the Select to a 19-speaker system in the Reserve and Black Label. Made by Revel, this sound system is quite accurate across the entire frequency spectrum. There’s no limit to the options you can upgrade the Nautilus with. A climate package is available for the Select model, allowing you to upgrade the rear seats and the steering wheel to include built-in heating systems. A driving assistance package is available for the Black Label and Reserve models, helping with cruise control and with steering in tough situations. Also available in those models is the Ultimate package, which revamps the headlights to powerful LEDs, the sound system to a full 19-speaker system from Revel, and 22-way adjustable front seats. There is also a package available that makes driving even safer and easier with an automated parking system, a full panoramic camera, and more parking sensors. When purchasing a new SUV, it can be difficult to pick from many seemingly indistinguishable trim options. The 2019 Lincoln Nautilus clearly delineates the differences between its trims, while still staying true to the vehicle’s overall aesthetic. The base Nautilus model comes standard with safety features mentioned above, a roomy interior with powered (and heated!) front seats, and a large touchscreen for access to the infotainment system. The next trim choice, the Select, upgrades the exterior features to include LED headlights, leather seating, and a fully adjustable steering wheel. It also gives you the option to switch engines to the aforementioned turbocharged V6. The Reserve trim extends even more features, offering 20-inch wheels, a better suspension, and multiple package options. The sunroof in the Reserve trim is panoramic, giving you a full view around the vehicle. The final trim option is the Black Label, which unlocks more theming options like new coloring and different interior designs. It also includes a fancy maintenance service package that is not available on lower-level trims. Some car companies struggle with creating an infotainment system that’s easy to use. Lincoln doesn’t struggle with whatsoever, and the 2019 Lincoln Nautilus’s fantastic Sync 3 system is a breeze to use. The 8-inch touchscreen feels quite responsive when navigating through menus, and even the center console’s buttons are easy to navigate with. Both Apple CarPlay and Android Auto can be used to connect with the infotainment system, allowing you to use some of your smartphone’s compatible apps when necessary. Though the Lincoln Nautilus definitely places a focus on comfort, there’s no lack of cargo space either. With all the seats down, you’ll manage to get a respectable 37.2 cubic feet of cargo space. This is easily enough to fit your vacation-ready bags. With the back seats folded down, you can increase that cargo space to an impressive 68.8 cubic feet, on par with or greater than many other SUVs in this class. The 2019 Lincoln Nautilus always feels secure on the road, whether you’re switching lanes at high speeds or climbing curvy hills on back country roads. Both the 2-liter and the 2.7-liter engines provide enough power to accelerate to speed easily, and the two suspensions available make the car stable and secure on road conditions of all types. If you’re coming from a vehicle with a higher horsepower engine, then the base 2019 Lincoln Navigator’s 4-cylinder engine may feel slightly underpowered. Acceleration will not be quite as fast, and handling may be a bit different than what you’re used to. However, you’ll quickly get used to this model’s engine with enough driving time. If you’re worried that there’s not enough power in the base model’s engine, then the V6 engine with more horsepower can help mitigate some of that worry. The Nautilus doesn’t have many blind spots, but a noticeable one is in the back. The rear window is somewhat small, leading to worse visibility than one may like. However, the driver technology that comes in even the base model makes up for this, with rearview cameras and blind-spot assistance available. More upgraded trims also include a 360-degree camera that can ensure you’re not missing any cars in an unnoticed blind spot. Some drivers have reported that the upgraded driver’s seat can be hard to properly adjust, as the 22-way power adjustment can be relatively finicky. Though adjustment can be tricky, most users find the seat comfortable after enough fine-tuning. While Lincoln has completely rebranded this vehicle to the Nautilus, many features are undeniably similar to the Lincoln MKX. From the synthetic leather used inside the vehicle to the rear exterior, it’s easy to tell that the 2019 Lincoln Nautilus is a direct descendant of the MKX line. The midsize SUV class is extremely competitive, with new models emerging that offer luxurious features throughout. Compared to similar vehicles like the Infinite QX50 and the Cadillac XT5, however, the 2019 Lincoln Nautilus offers significantly more features. It stands out in driver safety technology and in passenger comfort, giving far more options at even the base model than its competitors. If you’re looking for a reliable, technologically advanced midsize SUV, then you should definitely be considering the 2019 Lincoln Nautilus. With solid handling, a spacious and comfortable interior, and more safety features than you can possibly think of, there’s not much to dislike about this vehicle. Overall, this SUV should be one that’s toward the top of your list.